Everyone knows Madeleine and Jack Hunter. Maddy is an award-winning TV anchorwoman. Jack is the head of her network. To the world, theirs is a storybook marriage. But behind the doors of their lush Georgetown home a different story emerges. Maddy has always tried to deny Jack’s subtle put-downs, control, and jealousy. She has no bruises, only the daggers of fear, humiliation, and isolation – as powerful as the gun or the fist, the wounds as deep. It seems impossible that a woman the nation idolizes lives in degradation and fear. Maddy’s secrets are well kept, even from herself. Maddy’s healing begins when she joins the First Lady’s Commission on Violence Against Women. There, she hears eerily familiar stories from terrified wives and girlfriends. And there she comes to know Bill Alexander, a distinguished diplomat. Bill suspects that something is terribly wrong in Maddy’s marriage and begs her to open her eyes. As she takes the first steps toward freedom, a remarkable series of events unfolds … a stranger from Maddy’s past reappears … White House headlines bring the nation to a standstill … and a devastating tragedy forces Maddy to realize how much has been taken from her. Faced with the most difficult choice of her life, Maddy finds a strength she never knew she had and a gift that will change her life forever. With wisdom and compassion, bestselling novelist Danielle Steel reminds us that no one is exempt from the effects of abuse, in its subtlest forms. 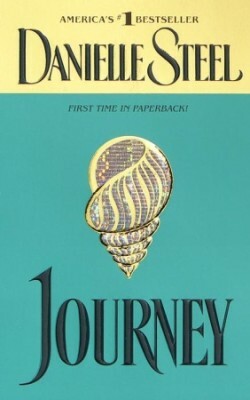 But at its core, Journey is a book about hope, about change, and about daring to be free.